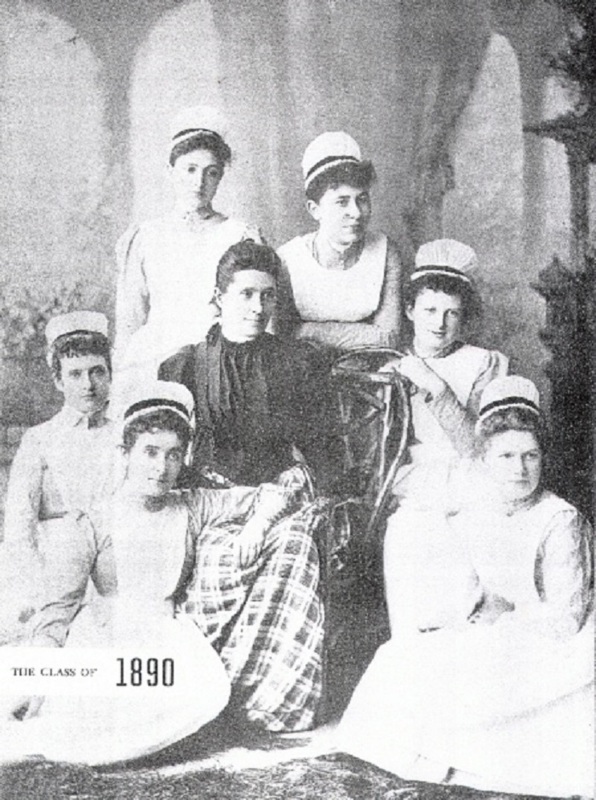 Nursing at St. Luke’s Hospital, carried out by the Sisterhood of the Holy Communion, predates the St. Luke’s Hospital Training School for Nurses by 30 years. The Sisterhood was started by Anne Ayres, who came to the United States from England in 1836 and settled in New York City. Until 1845 she worked as a governess when, after hearing a talk given by William Augustus Muhlenberg, D.D., she decided to pursue a religious life. Dr. Muhlenberg was an Episcopal clergyman and pastor of the Church of the Holy Communion located on the corner of Sixth Avenue and Twentieth Street. 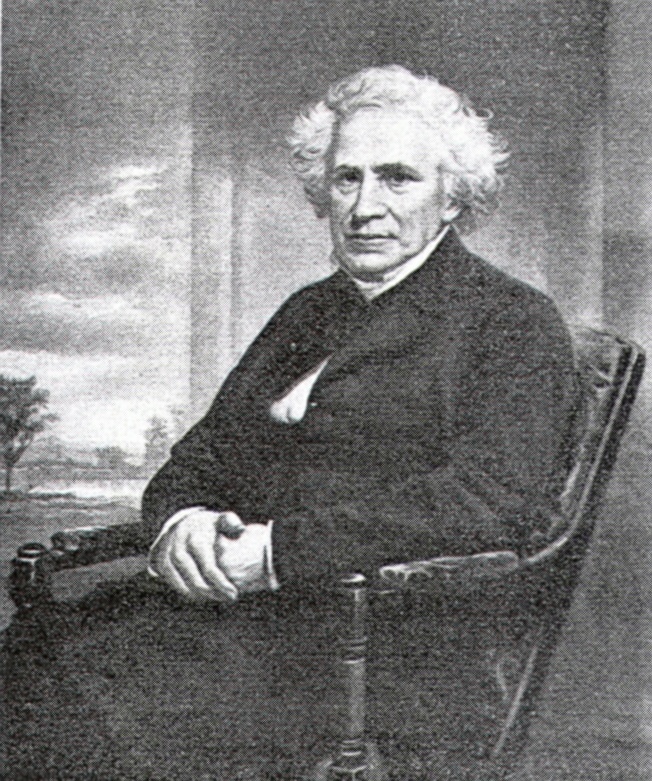 At the time, there were no established religious orders for Protestant women in the American Episcopal Church or in the Church of England, so Ayres was consecrated a “sister of the Holy Communion” by Dr. Muhlenberg. After a few other women joined her in running a parish school and caring for the sick poor, they were formally organized as the Sisterhood of the Holy Communion in 1852, with Ayres as First Sister. The sisters, who made renewable pledges of service instead of taking permanent vows, opened an infirmary in 1853 within the church community. When St. Luke’s was built, they moved into the hospital, where Ayres directed the housekeeping and nursing. For years Dr. Muhlenberg had cherished the dream of creating a church hospital. He was well aware of the dearth of health care facilities in Manhattan: In 1846, the city had only two hospitals. New York Hospital, or Broadway Hospital as it was sometimes called, had 350 beds, and served mostly seamen, whose expenses were paid by the government; indigent trauma cases; and a few patients who could pay their own way. However, one was admitted only if a cure seemed likely. Bellevue Hospital’s 550 beds were devoted entirely to paupers. 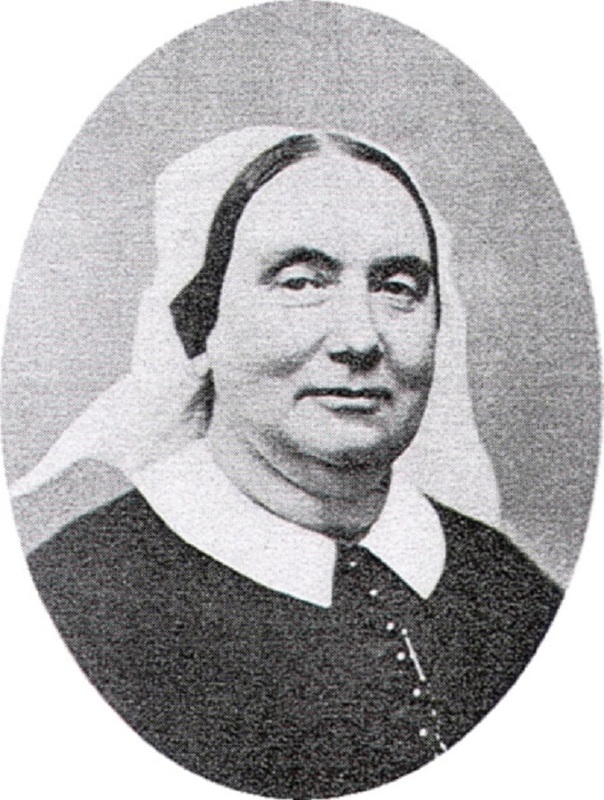 Sister Anne Ayres, in her biography of Dr. Muhlenberg, writes that Bellevue "was in reality the sick ward of the Almshouse, and was always crowded, the provision being quite too small for the accommodation of the class who were its sole beneficiaries, and who, it may be readily conceived, made the place more to be dreaded by the decent Christian poor, than the worst privations and disqualifications of their own garrets and basements." On St. Luke’s Day, October 18, 1846, Dr. Muhlenberg took the first steps to turn his dream into reality: he proposed to his congregation that half of that day’s offering be set aside as the beginning of a fund to build a church hospital to care for the sick poor. A little over $30 was raised, prompting a fellow clergyman to ask Dr. Muhlenberg when he expected to build his hospital. He replied: "Never, if I do not make a beginning." His beginning was one wing and a chapel on Fifth Avenue at Fifty-fourth Street; the chapel was finished a year before the hospital wing, and was in use almost every Sunday. Dr. Muhlenberg writes: "This was done...for the purpose of bringing out its ground idea and distinctive character as a church institution. For a year St. Luke’s was resorted to only as a place of worship, thus proclaiming the Evangelical order--good works the fruit of faith." Religion and science worked together in St. Luke’s. Indeed, the motto of the hospital, which every graduate nurse wears on her pin, is corpus sanare, animam salvare (to heal the body, to save the soul). The first patients were admitted in the spring of 1858. Dr. Muhlenberg looked upon the patients as "guests of the Church--the Hospital a large hotel full of sick guests" with the care of the guests done voluntarily by Sisters of the Church. A member of the Sisterhood was in charge of each ward and supervised the work of paid nurses, considered inferior to the better educated Sisters. As the patients increased in number, nursing care became more complex. The number of applications to the Sisterhood were no longer sufficient to meet the nursing needs of the hospital. Lay women were hired, but they functioned essentially as assistants to the Sisters; it became increasingly apparent the system must change. Sister Anne retired in 1877; her replacement resigned because of poor health in 1888. In May of that year housekeeping and nursing became separate departments and a graduate of the Boston City Hospital School of Nursing was hired as Head of the Nursing Department at St. Luke’s. Two months later the Board of Managers of the Hospital passed a resolution for the establishment of the St. Luke’s Hospital Training School for Nurses. On July 2, 1888, six young women entered the school for a one-month probationary period. This first class of St. Luke’s nurses were taught primarily on the hospital wards, although lectures, recitations and examinations on practical points of nursing were given from time to time. Students were graded on their performances; at the end of the two-year course they were awarded a diploma and a pin. Within the first ten years of its existence the school added an obstetric nursing affiliation, a course in the operating room for selected students, and textbooks and mannequins were used for the first time. A registry for graduates who chose private duty nursing was established, and in 1896 the hospital moved to its current site at Amsterdam Avenue and 113th Street. The alumnae association was incorporated in 1898. The first commencement was held in the hospital chapel on the evening of January 8, 1901. Over the years the curriculum evolved in keeping with advances in the medical and nursing specialties; as course instruction increased, so, too, did the nursing faculty and the length of the training period. 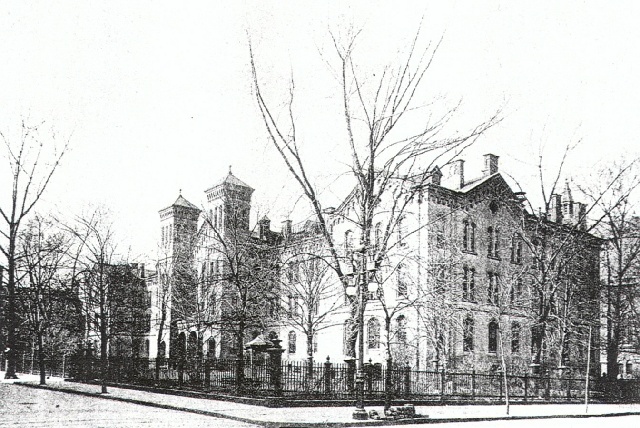 In 1905, in conformity to a State law enacted in 1903, the school was registered with the Regents of the University of the State of New York, marking the beginning of State supervision over nursing schools in New York State. On November 8, 1906, the Margaret J. Plant pavilion for private patients was opened for reception of patients. This was a liberating event for the nursing students: Vanderbilt pavilion was the nurses’ residence; however, as a temporary measure of perhaps 10 years, two floors were used for private patients, an inhibiting factor for off-duty students. Tradition has it that on the memorable night when the patients were all moved, "the native noise-making inclinations of some 90 normal and healthy young women...were indulged in that first night of freedom to the extent of compensation for all past deprivations. And it is not recorded that anybody was disciplined as having celebrated beyond the bounds of propriety, in view of the circumstances." The year 1915 saw the beginning of yearly appeals for a new nurses’ residence. In 1917, to fill the gaps left by enlistment of nurses in war service, forty additional probationers were admitted to the Training School. In order to make room for these students in Vanderbilt, graduate nurses were offered a room allowance to live outside the hospital. At the close of the war, a canvas done by the alumnae association shows that 197 graduates were engaged in war service in 12 countries, and 48 graduates were enrolled in the St. Luke’s unit of Red Cross Home Defense Nurses. During the next 10 years an entrance fee for students was instituted. Hours on duty were shortened, as was the training period from three years to two and one-half, although he probationary term remained at six months. Course lectures in mental and nervous diseases, communicable, skin, and venereal diseases were added to the curriculum; attention to the physical condition of the students improved with regular chest x-rays and immunizations against typhoid fever, smallpox, scarlet fever, and diphtheria. The fourth floor in Travers pavilion was turned over entirely for instruction of students and faculty offices. In 1928 the system of theoretical instruction was reorganized. An education director was appointed; a teaching dietitian and a full-time instructor in the sciences were hired. In the hospital, a program of employing graduate nurses for "general duty," was instituted, first on the private floors and then on the wards. At the same time "ward helpers" were introduced. These women performed non-nursing duties previously done by the nurses: brass polishing, caring for the patients’ flowers, sorting and storing linen as it came from the laundry, carrying food trays, etc. Finally, in January 1938, the Eli White Memorial Residence was occupied by the nurses. The building was erected at a cost of $1,600,000 as a memorial to the late Mr. White out of a bequest for such purpose by his daughter, Mary A. Fitzgerald. Fronting on 114th Street, the residence extended through to 115th and offered 355 rooms for students, graduates and faculty. A tunnel connected the residence to the hospital for use in inclement weather. (A full description of the building’s facilities can be found in the first Roster in the school archives at the Foundation of the New York State Nurses Association in Guilderland, New York.) Health and social-physical education directors were added to the staff of the school by the end of the 1930’s. Over the next 10 years, the school was accredited by the National League of Nursing Education, and remained so until its closing. Chemistry, sociology and psychology were added to the curriculum with appropriate faculty employed. During World War II students enrolled in the Cadet Nurse Corps, a program of the United States Public Health Service. Hundreds of nursing alumnae participated in government nursing services throughout the war. The Class of 1947 published the first yearbook, Triennium, dedicated to the Second Evacuation Hospital Unit, composed of doctors and nurses recruited from St. Luke’s Hospital who served in the European theater of World War II. Student fees increased to $350 for the three-year training period; a student loan fund was developed and supported by graduates of the school. On February 3, 1942, the alumnae association changed its name to "The Alumnae Association of the St. Luke's Hospital School of Nursing." It is unclear when the school changed its name from the "St. Luke's Hospital Training School for Nurses" to the "St. Luke's Hospital School of Nursing," but it was undoubtedly during the early 1940's. In 1953, the obstetric affiliation at Women’s Hospital Division of St. Luke’s began. 1954 saw the reorganization of the nursing department when the school and nursing service were put under one director of nursing. A two-week tour of duty (later a four-week tour) in the recovery room was added to the students’ rotations. The system of privileges for all students was liberalized including the marriage policy. By the late ‘50’s only one class was admitted each year; the student received her St. Luke’s cap after 10 months instead of after 6. Willard Parker Hospital closed and communicable disease nursing was integrated into other areas of the curriculum. In 1959 directors were appointed to both the school and the nursing service; students were no longer on the staffing roster of the hospital. By the early ‘60’s the faculty and staff of the school had grown to 30. Following tradition, freshmen were still introduced to ward duty soon after entering the school, with their on-duty work correlated with classroom instruction. Junior year focused on obstetrics, the operating room, pediatrics and psychiatry. The senior year brought night and evening duty, advanced medical-surgical nursing , special surgery, i.e., orthopedics, urology, and ear, nose and throat, the emergency room and the outpatient department. As the cost of operating the school rose, it became increasingly difficult to recruit students who met the criteria set by the faculty. More and more young women opted for the baccalaureate programs rather than diploma schools. On April 4, 1972, Charles W. Davidson, Executive Director of St. Luke’s Hospital, and Ruth E. Dittmar, ‘52, Director of the St. Luke’s Hospital School of Nursing, announced to faculty and students the decision to phase out the school. It would no longer accept new students, but would maintain a quality program for those already enrolled. The decision came after seven years of deliberation. Mr. Davidson said: "...Since its founding in 1888...the school of nursing has meant quality nursing. ...We believe the reputation of our school to be unmatched and our graduates have continued to bring honor to the school and to the Hospital Center to the present day. For all of us, the decision has been a traumatic experience, but charged as we are with making difficult choices, we had no real option. The future of nursing education is in the broader educational environment of the colleges and universities. We support that view." 4. Recognize the value of participation in activities that promote her growth as a self-directing and self-evaluating person, nurse and citizen. During its more than 80 years of existence, over 4000 women graduated from the St. Luke's Hospital School of Nursing. For further reading on The Reverend William Augustus Muhlenberg please visit his biography "The Life and Work of William Augustus Muhlenberg" by Sister Anne Ayres.